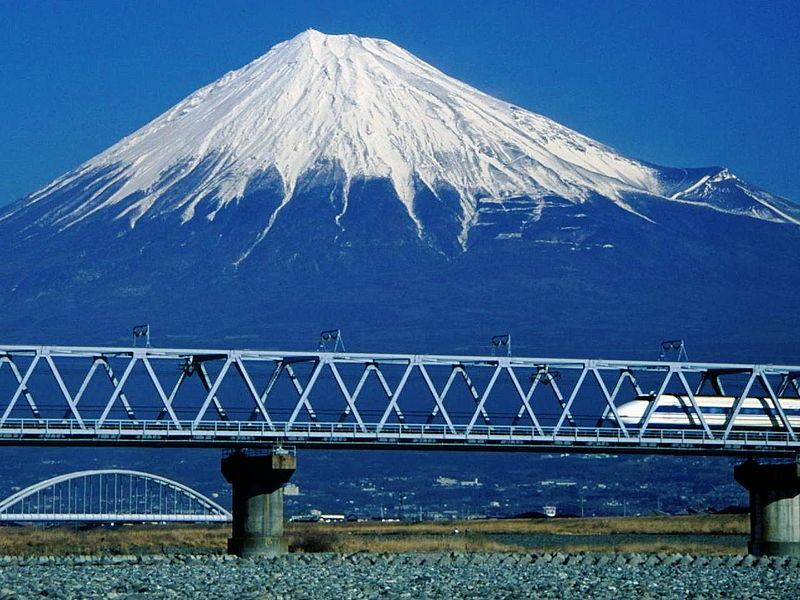 Mount Fuji, the most famous symbol of Japan is located just 110 km away from the famous capital. Taking advantage of the trekking season in summer, you can go up the summit for a magnificent sunrise to remember. 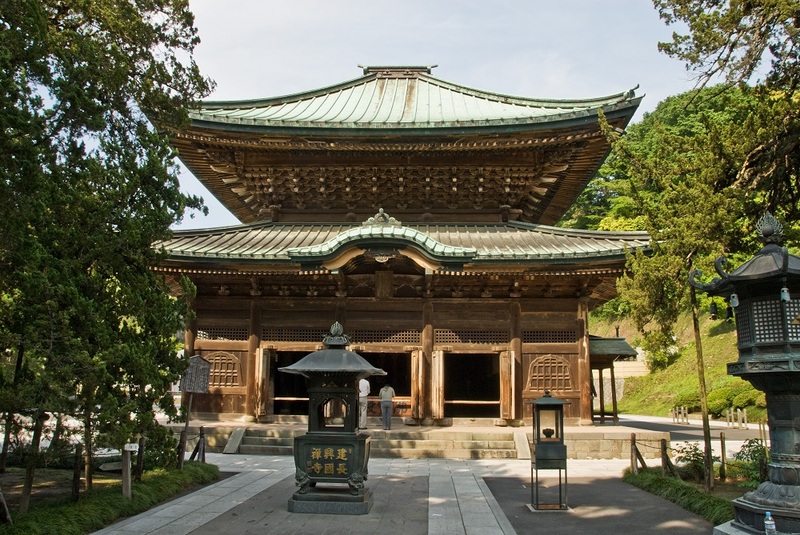 Nikko, located just two hours away from Tokyo, has to offer a countless number of centennial temples and shrines, including UNESCO World Heritage Sites. Admire the incredible progress of Yokohama – the most important city port of all Japan that used to be just a small village with less than 100 houses overall. Kamakura, on the contrary, is still an alluring hamlet, blooming with vermilion shrines and Buddhist temples. Following is our guide to those and more breathtaking destinations, which you can enjoy in less than a day, located just a bullet train journey away from Tokyo. Mount Fuji (3776 m) is Japan’s most famous, visited and beautiful volcano. A place where you can enjoy some dazzling views, especially in the summer. But mountain hike is far from the only activity visitors can enjoy – there are 5 natural lakes called the Fuji Five Lakes (富士五湖, Fuji -go-ko). All of them represent a magnificent viewing point of Mount Fuji as well as the perfect place to start your way to the top. All routes can be easily accessed with your Japan Rail Pass. For more detailed information on how to get to the hiking routes and suggestions of places to visit – read our Mount Fuji with the Japan Rail Pass article. 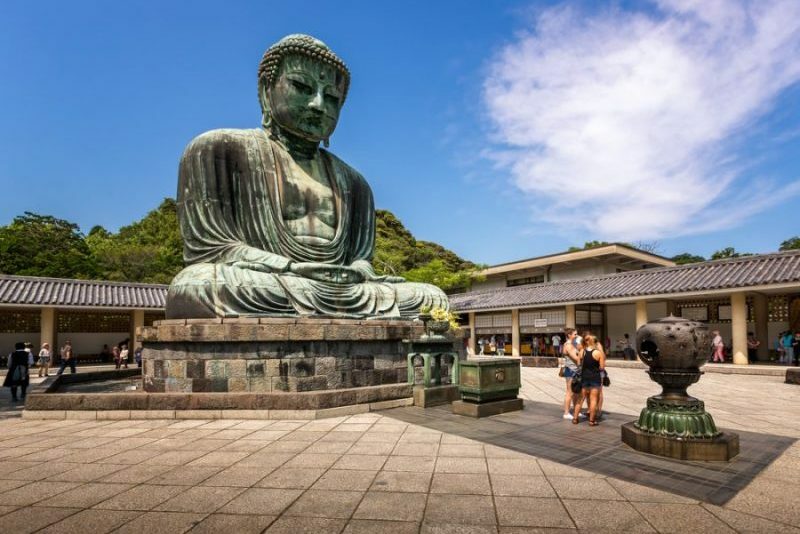 Just an hour away from Tokyo, Kamakura is one of the most preferred options when it comes to visiting historical monuments, temples, and shrines. A little-known fact is that it was the first feudal capital of Japan (1185-1333), which when Buddhism was widely spread across the country. Many tourists refer to Kamakura as Kyoto of Eastern Japan nowadays because of its countless historical monuments and cultural heritage. To give you a better idea: Kamakura is a precious hamlet with over 65 Buddhist temples, and 19 Shinto Shrines spread across the crossroads the city and its’ surrounding hills. Kencho-ji is Japan’s oldest Zen monastery and Kamakura’s pride. It continues to play a vital role in the Zen religion up to nowadays. It is no consequence it takes the number one on our list. Visiting this temple is a “must”. Tsurugaoka Hachimangu Shrine is often referred to as the spiritual heart of the hamlet, located just about 10 minutes walking distance from Kamakura station. Going up the stairs of this charming shrine, you will have the opportunity to admire a magnificent panoramic view of the seashore. Kotokuin Temple offers one of the most impressive Great Buddha attractions ever built (in Japanese is called Daibutsu). 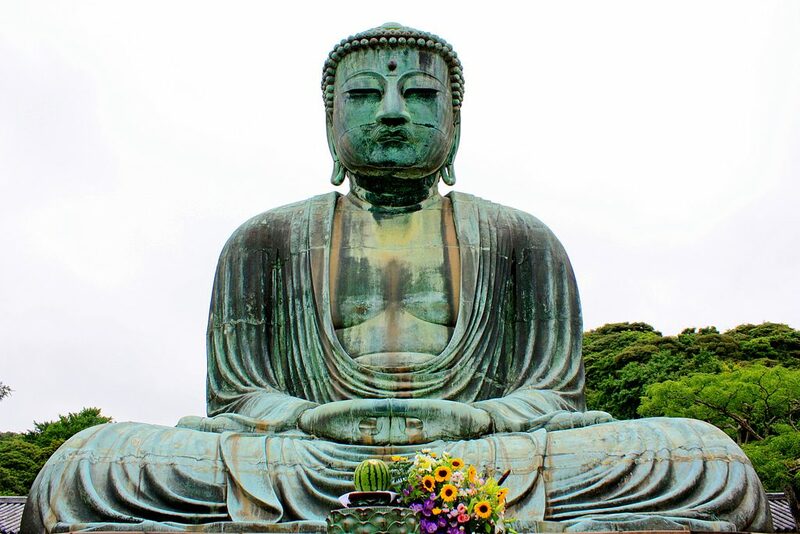 It is the second largest Buddha statue in Japan, 11 meters high (37 ft.), this massive Buddha weighs 93 tons. Note that the biggest similar monument in Japan is in Nara. However, no two people can ever agree on which one is the greatest. For more ideas on what to see and do in Kamakura, take a look at our Japan in 7 days travel itinerary. The city can be easily reached with your Japan Rail Pass. Take the JR Yokosuka Line for Kurihama from Tokyo station and get off at Kamakura station. Nikko means sunlight in Japanese. A fitting description for the opulence and elegance the city has to offer. Nikko was the home of the powerful Tokugawa Ieyasu, the leader to whom James Clavell’s great novel Shogun is dedicated and the one person who united all of Japan in times of war, conflict, and constant invasion. If you would like to pay your respects, together with many Japanese nationals, head to Northern Nikko, where you will find Toshogu Shrine. Built in the late 17th century, this shrine is now the sacred home of Tokugawa’s remains, interred in a mausoleum. 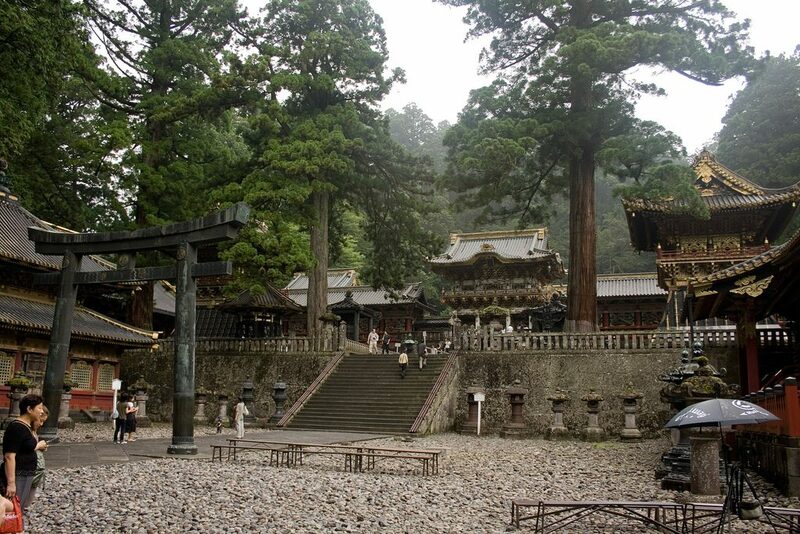 The sacred land, on which Toshogu and nearby shrines are located is known as Nikko Sannai. In 1999 was designated a World Heritage Site by UNESCO. All of this is surrounded by thousands of glorious cedar trees, also known as Nikko National Park. If you want to get yourself immersed in the magic of the forest, try going on a foggy day – this will be a guaranteed experience to remember. Reaching Nikko from Tokyo takes about two hours. One of the fastest options is taking Shinkansen Yamabiko 151 to Utsunomiya. Once there, take the JR Nikko Line to Nikko Station. The Japan Rail Pass will cover all train costs. Yokohama is one of the most emblematic cities in the recent history of Japan. The last 200 years have transformed the city completely – from being a small port village with a little over 100 houses, it is now the second most populated city in Japan, with over 3.6 million inhabitants. 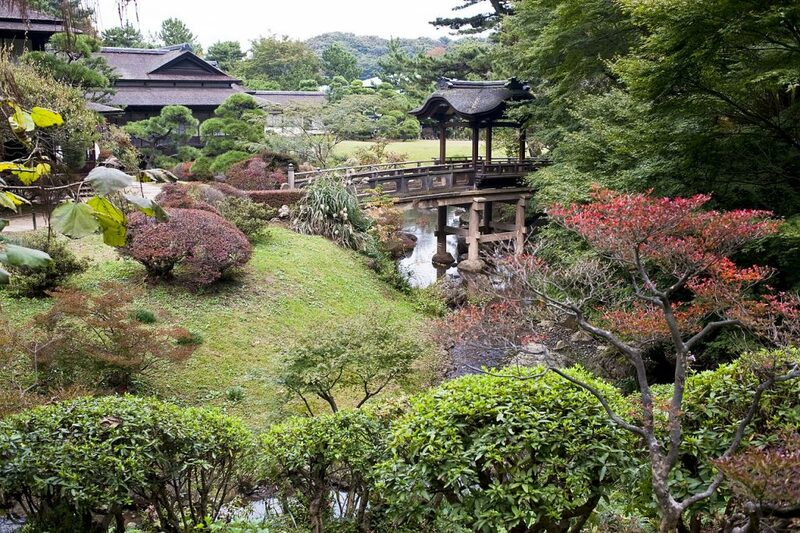 Once there, make sure to visit Sankei-en Garden. A peaceful place, full of traditional curiosities and historical buildings. Many see it as a traditional theme park, which it is not. However, the beauty, structure, and organization might lead you to think so. Definitely a “must” when traveling to Yokohama. Yokohama Chinatown may not be part of your typical Japanese touring plan, however, if it is the largest in Japan! It might be worth it, right? A curious fact is that the city has quite a large Chinese population. This has contributed immensely to the authenticity and quality of the food, drinks and curious little shops you might stumble upon. Finally, Minato Minari 21 (Harbor of the future,” translated from Japanese) is Yokohama’s pride. A massive urban project, which now includes museums, hotels, shopping centers, restaurants, Sky Garden Observatory, Cosmo World amusement park, spa and relaxation center and more. If you have the time, you can spend a whole day there, going from one place to another, but try to always keep in mind that Yokohama was a small village, with close to 100 houses in total. And now, it is Japan’s most significant port and second most populated city! Getting to Yokohama will take you less than half an hour – take the JR Tokaido Line Rapid Acty for Odawara from Tokyo Station and get off at Yokohama Station. Your Japan Rail Pass will cover the cost of the trip. Hakone is one of the closest and most preferred weekend destinations for citizens of Tokyo. This is no surprise, considering that beautiful lakes, mountains, hot-spring resorts, historical sites and incredible views of Mount Fuji are just a small number of the attractions Hakone has to offer. The Hakone Open Air Museum can easily be the first and last thing you want to see in the city, should you be in a rush. 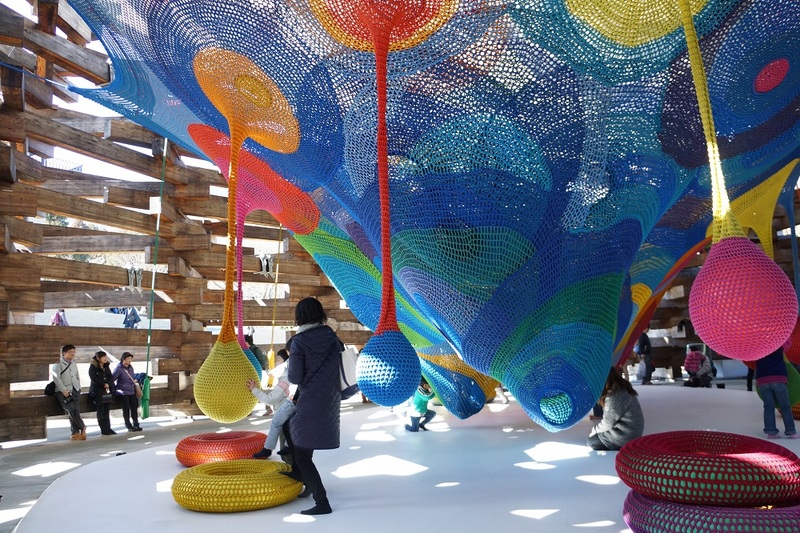 Children and adults are going to enjoy their time to the fullest with the amazing collection of Picasso, Henry Moore, Taro Okamoto and more artworks, spread across the open space of the museum. The surrounding mountains make the experience even more unforgettable. Owakudani Nature Trail is a one in a lifetime attraction for all foreign visitors, as well as for many local travelers. Mesmerizing views of Mount Fuji are also part of the package that is the nature trail. The area is located around a crater, formed during the last eruption of Hakone Mountain, about 3000 years ago. Time doesn’t matter when it comes to volcanoes: sulfurous fumes, hot rivers, and springs can be experienced like never before. Lake Ashi, together with the incredible mountain views, has become the signature of Hakone. 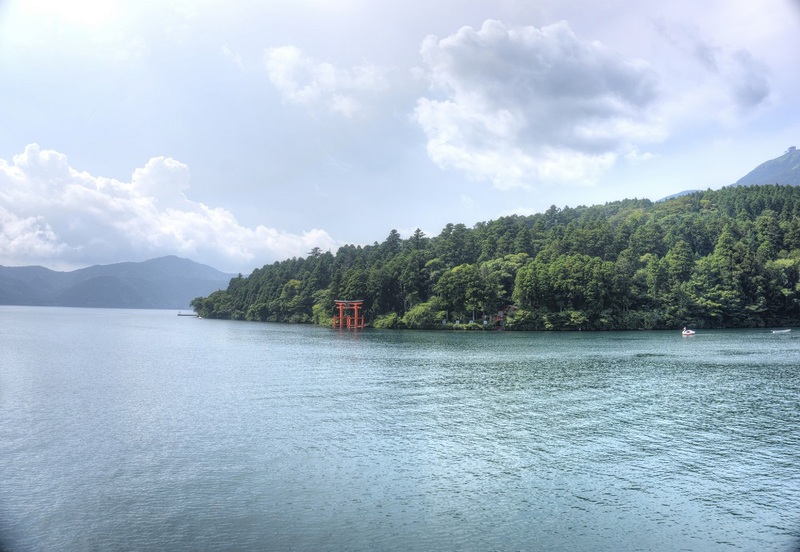 Similar to the nature trail, lake Ashi was also formed by the volcanic eruption. Beautiful scenery and long relaxing boat trips will make you want to breathe in deeper and deeper, take in as much as you can. Note that due to the cloud density and sometimes high level of fumes the mountain views can often be blocked. Always try to check the weather before going to assure your best view chances. Getting to Hakone from Tokyo will take you about an hour and a half. Take the Tokaido-Sanyo Shinkansen, covered by your Japan Rail Pass, from Tokyo Station straight to Odawara. Once there, take the local Hakonetozan Line, which will take you straight to Hakone Yumoto station, in just 14 minutes (4 stops). If you find yourself with more free time and desire to explore the surroundings of Tokyo, then make sure to check out Odaiba. This artificial island has become quite a popular shopping and entertainment center. Hot spring resorts are also a popular option for relaxation in Japan. Kusatsu Onsen is one such resort, famous all around Japan. And last but not least, if you are traveling with children or adults with the child still trapped inside them, make sure to visit Tokyo Disney Resort, located just 15 minutes from Tokyo Station. The fun is guaranteed! 1. Arrive Narita Intl airport. 2. 5 days stay near Tokyo-Shinjuku area, with 1 day heading out to Ghibli Museum at Mitaka. My kids are fans of movies from Studio Ghibli. Does JR pass cover this train? 3. Leave Tokyo and stay overnight at Hakone. I think JRail covers train from Tokyo to Hakone? 4. 3 days at Kyoto. From Hakone, is there JRail line that goes directly to Kyoto? or we have to go back to Tokyo Station and transfer? Does local train in Kyoto accept JRail pass? 5. 2 day at Osaka + nearby area (recommendation?). I think JRail also covers Kyoto-Osaka line but not sure. 6. Depart from Osaka Kansai Airport. We flying to Tokyo in May 2019 for 8 days with family of 2 boys 18 and 13.We like to see TOKYO FOR SURE. BUT WHAT IS THE BEST TRIP FROM TOKYO WITH J R PASS____. :?We like to take 2 one days trip from TOKYO.WHEN is the best days of week go on trip so its not too many people:-_-_–??????? ?AND WHERE?????????? THANK YOU VERY MUCH,CAN T WAIT TO HEAR FROM YOU SOON. Hi Martin! It will for sure depend on your own preferences 😉 in this article you can read about our 5 favorite day trips from Tokyo, we hope you find the ones you like the most! and take days tours from one of these cities. If so, which of these three cities would you recommend to base our stay ? We want to experience traditional / classical Japan, we have travelled on business over the years to Tokyo and now in retirement which to enjoy the other side of this beautiful country. We will purchase the Japan rail pass. Thank you for choosing the Japan Rail Pass! There is so much to see in Kyoto that we think it’s the best option, although Nagoya is an important train hub too and also well communicated. For further information, don’t forget to check out our articles about the best day trips from Kyoto and Takayama and the Japanese Alps (which you can reach from Nagoya). That is true: you are entitled to make the biggest part of the trip but you will always need to take some transportation that is not included. – To reach Mount Fuji from Tokyo you can follow the Gotemba trail: Take JR Tokaido line for Kozu from Tokyo Station, using your JR Pass. Once at Kozu (Kanagawa), take the JR Gotemba Line for Numazu (not covered by the Japan Rail Pass) and get off at Gotemba Station. – To go from Tokyo to Hakone take the Tokaido Shinkansen (Kodama and some Hikari trains, please check) from Tokyo Station (covered by the Japan Rail Pass) and get off at Odawara Station. Take the Hakone Tozan train for Hakone-Yumoto (not covered by JR) and get off at Hakone-Itabashi: this is your final destination. – Last but not least, to get to the Five Lakes take the JR Chuo Line from Shinjuku Station (Tokyo) to Otsuki Station (covered by JR). Once at Otsuki, take Fujikyu Railway to Kawaguchiko Station (not covered by JR). A great spot to view Mount Fuji is the location of Chureito Pagoda, very popular among photographers. it is situated to the east of Lake Kawaguchiko, one of the famous five lakes. I am planning for 7 day railway pass. Can it be used for Shinkansen for Osaka to Hiroshima and again return to Osaka and to Mount Fuji and Tokyo within 7 days. Sure! You can take the JR Haruka Express in Osaka city center to Shin-Osaka Station, then transfer to the Sanyo Shinkansen line (westbound, Hikari trains) to get to Hiroshima. With your Japan Rail Pass you are entitled to make unlimited trips in the included transports so you will be able to take it to go to Hiroshima and also to go back to Osaka. You will also be able to use the Japan Rail Pass to get to Tokyo and Mount Fuji. From Nikko to Yuzawa (Echigo Yuzawa station) is about 2 hours by train. You can take JR Nikko Line and Tohoku shinkansen which are all covered by JR pass. Also you can visit Kusatsu Onsen from Yuzawa with 2 hours and half by taking Joetsu Sinkansen and JR Agatsuma line. I am going to Tokyo HND airport on Aug 11 I think I would like to go straight to Osaka for a night then to Kyoto for a night then to Tokyo for the rest of the trip. Can you suggest. How and which trains I would need to get from the airport to Osaka on Aug 11th we do not get in until 5pm. In Haneda Airport you will find the Tokyo Monorail, included in your Japan Rail Pass, that will take you to Tokyo center. From there you can easily reach Osaka. To get from Tokyo to Osaka, you will need to take either the Hikari bullet train or Kodama from Tokyo or Shinagawa stations in central Tokyo. Thank you for the super fast reply. If you have anymore suggestions for day trips on the JR line from Tokyo Id love to hear about them. I am doing a 2 day MT fuji Climbing tour. But I do not know much about other destinations still. Here is a link to our Japan in 21 days blog post, full of ideas on what to do for a week in Tokyo. Great post. I am going to be in Japan for 3 weeks so I am wondering if the 21 Day JR Pass will be worth it. So far my plan is 4 days sleeping in Osaka but i plan to visit Hiroshima and Nara and maybe Kobe. Then I will spend 2 days exploring Kyoto and Arashiyama. Then up to Tokyo for 2 weeks. I would like to make lots of Day Trips from Tokyo to see as much as possible. Will the JR Pass get me everywhere I need to go? Is it worth getting the 21 Day Pass or not? The 21-day Japan Rail Pass sounds like the perfect plan for your stay in Japan since it does cover all the trips mentioned by you, including the Tokyo (Narita Express) and Osaka (Haruka Express) airport transfers, including seat reservations (valid for all trains). As you can see in this blog post, you can also use the JR Pass for a number of day trips from Tokyo. Don’t forget that the central Yamanote metro lines in Tokyo, as well as the Tokyo Monorail and JR line are all included in the Japan Rail Pass, which will allow you to move freely according to your own schedule. Thank you for your reply. How long is the travel from Tokyo to Osaka? Do I need to make a reservation for each trip or is it as easy as swipe and board every time? Dear Teresa, with your Japan Rail Pass you will be easily able to book a seat, free of charge. However, you won’t need a seat reservation for your trip from Tokyo to Osaka, since trains are barely ever full. Hi, will the JR Pass cover trains going to Osaka, Kyoto, and Nara? Can you tell me which stations connect the three places from Tokyo? Thank you! Yes, the Japan Rail Pass covers the trains, going from Tokyo to Osaka, Kyoto, Nara and the trips in between these cities. The stations that connect the three cities are called: Tokyo Station, Osaka Station, Kyoto Station and Nara Station. The easiest way to travel to Nada will be once you have reached either Kyoto or Osaka. Take a look at the rail and metro maps in case you have any doubts. Would appreciate if you can advise for such case, will be suitable to get the JR 7 DAYS Pass.? What about the other days? I am thinking to take the shinkansen or domestic flight between osaka and tokyo? What is the faster and cost effective way if i decide to stay at Mt Fuji for 1 night and the next day leaving to Osaka? How long is the journey? Tks. You may use the 7 day pass and then local tickets to move around Osaka and Kansai Airport. For further information about itineraries, please check our Hyperdia page about routes and timetables. And of course, you can always contact our customer service team at our contact page.